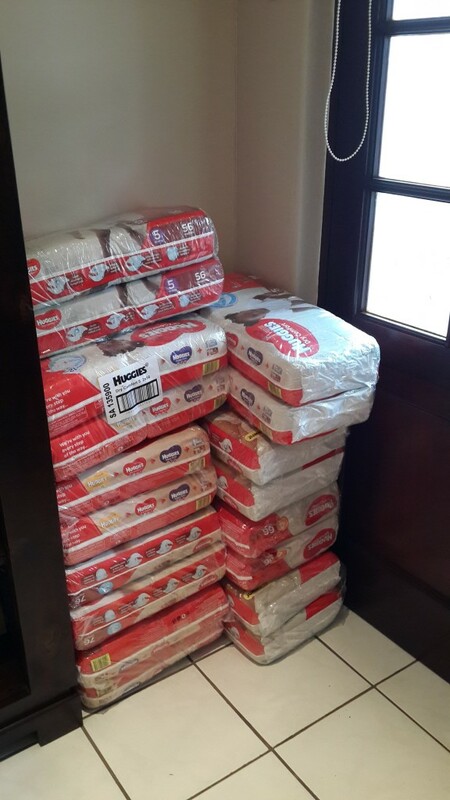 Last week, on two occassions, I arrived home overwhelmed by the generosity of South African companies. On Tuesday I arrived home to 35 BABADERM body lotions, that was MUCH needed, as our body lotion had just been finished. 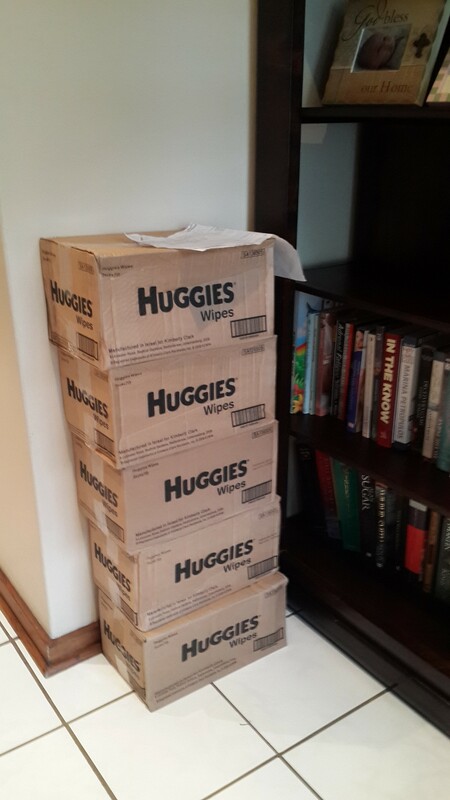 On Wednesday I arrived home to 18 bags of HUGGIES nappies and 5 boxes of HUGGIES wet wipes! I’d like to thank these VERY generous companies for giving of your stock. 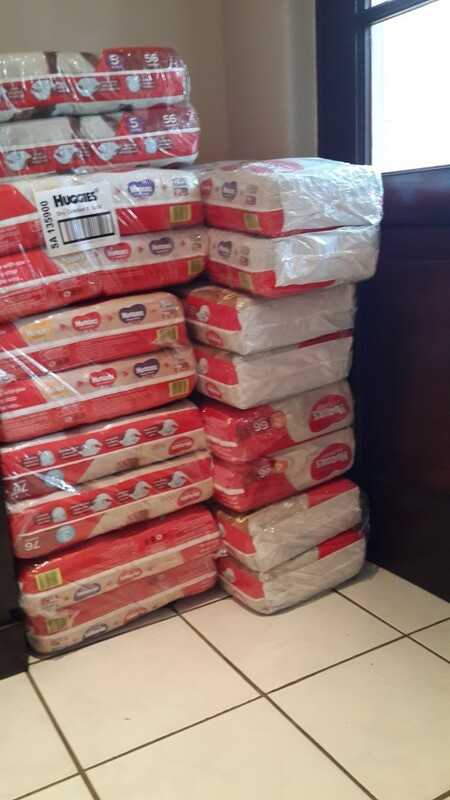 This stock will go towards some of our most needy orphanages, that we support, and will be included in our maternity packs for Alex clinic.